SMT Soldering with PYRAMAX 100a a reflow oven from BTU. This convection air reflow oven from BTU have lifetime warranty on heaters and blowers. 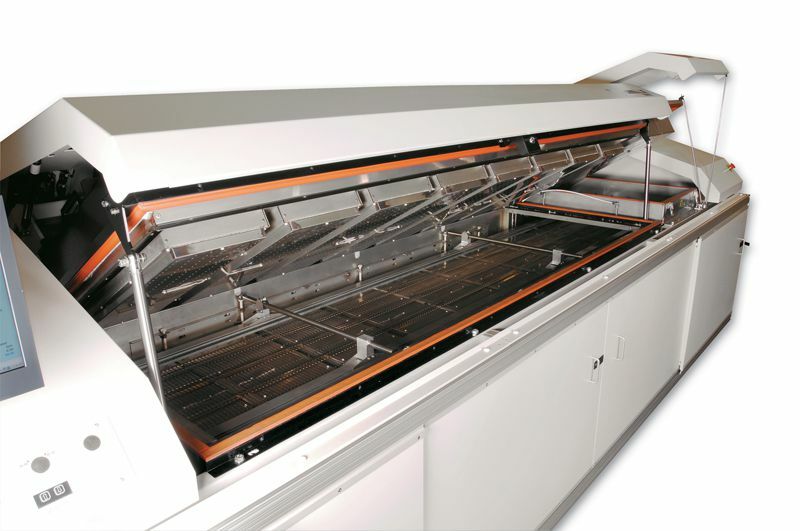 The SMD reflow oven Pyramax 100A model has 8 heated zones. Soldering spec sheet to download or to print with more information on the BTU Pyramax 100A air reflow oven.